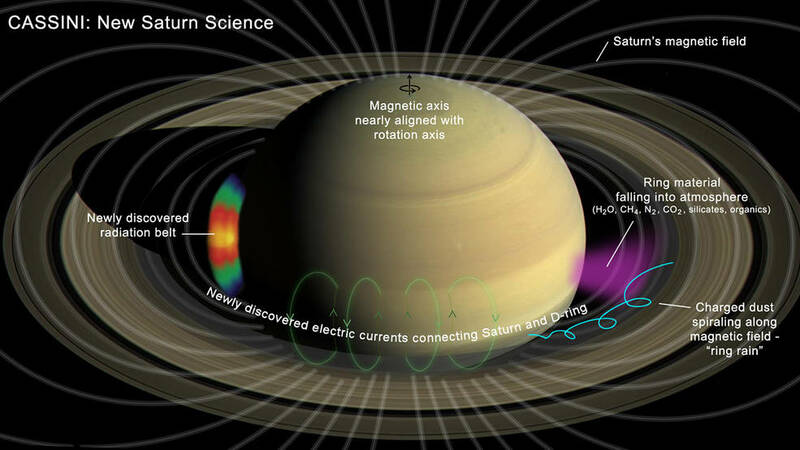 New research emerging from the final orbits of NASA's Cassini spacecraft represents a huge leap forward in our understanding of the Saturn system -- especially the mysterious, never-before-explored region between the planet and its rings. Some preconceived ideas are turning out to be wrong while new questions are being raised. 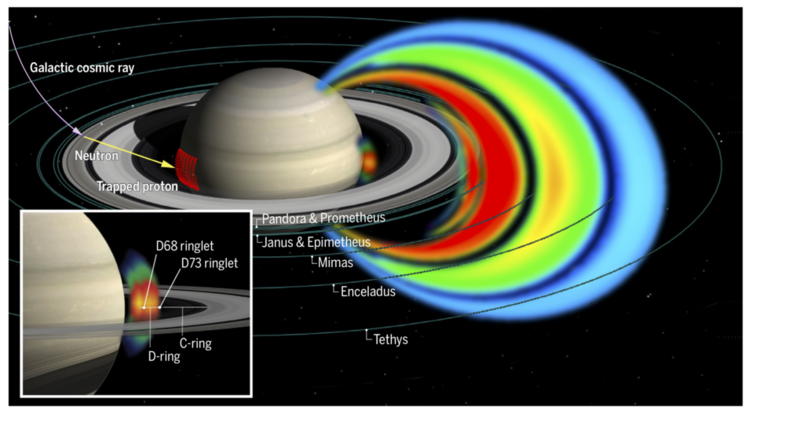 Six teams of researchers are publishing their work Oct. 5 in the journal Science, based on findings from Cassini's Grand Finale. That's when, as the spacecraft was running out of fuel, the mission team steered Cassini spectacularly close to Saturn in 22 orbits before deliberately vaporizing it in a final plunge into the atmosphere in September 2017.